Rent cottages and chateaux in Cotswold, England with swimming pools. This quintessential English country Estate near Stow-on-the-Wold is the perfect setting for large family gatherings and celebrations in a idyllic countryside. Ropewalk is a traditional cottage built from Cotswold stone and found at the heart of the charming and historic village of Blockley. 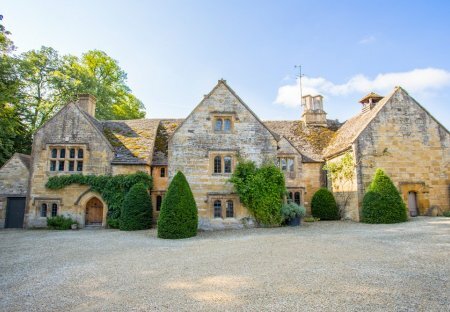 With its exquisite Cotswold stone buildings, award-winning gardens and beautiful interiors, the barn can sleep 10 adults plus 2 small children. The 5-bedroom manor house has been privately owned since the 15th century and is steeped in English history. The Cobblers Cottage holds a fabulous locaion in the pretty village of Southrop, close to the popular towns of Burford, Lechlade and Fairford. Cirencester Park Cottage is the perfect, central base for those wanting to explore the wonderful Cotswold region. Situated in the heart of Cirencester. This 3 bedroom house with swimming pool is located in Somerford Keynes and sleeps 6 people. It has WiFi and parking nearby. This little cottage exudes character, built in 1624 it has been beautifully restored and is now a luxurious one bedroom cottage ideal for that romantic break. Halcyon Hideaway is situated on an exclusive gated development, just south of the popular town of Cirencester in Gloucestershire. The modern. This beautiful four-bedroom property offers a stunning lake view, located on an exclusive Gloucestershire development. Situated to the south of Cirencester, the beating heart of the Cotswolds. Orchid House is situated on an exclusive gated development, just south of the popular town of Cirencester in Gloucestershire. The modern. 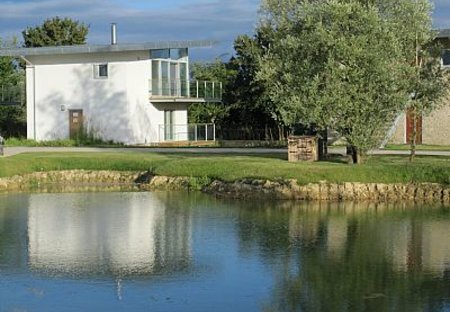 Birdwatchers Bliss is situated on an exclusive gated development, just south of the popular town of Cirencester in Gloucestershire. The contemporary.